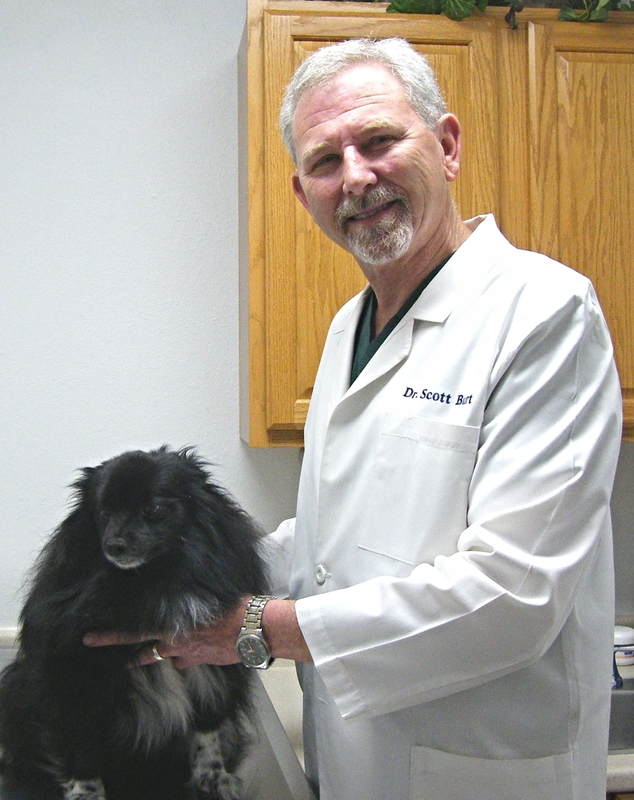 Dr. Burt graduated from Texas A&M University with his Doctorate of Veterinary Medicine in 1983. After a 2 year residency with Dr. Akin Simpson here at Highland Animal Hospital, he purchased the practice in 1986. He is married to Debbie, and they have three daughters; Callie, LeDawn, and Codye. (All married also - hallelujah!) Harvey and Lollie make up their animal clan. Dr. Burt and his wife, Debbie, are blessed by and love spending time with their grandchildren (Hayley, Boston, Jaxson, Ellye, Gideon, Ava, Berklee, Deacon, Finlee, Gryffon, Brighton, Ella, and Marliegh). Dr. Burt and Debbie are very active with their church, Trinity Baptist. Debbie is the BOSS! The wife of Dr. Burt, she has been the backbone of our practice for the last 25 years. She is responsible for all staff scheduling, practice management, and accounting. Spenser was born in Big Spring and grew up in Midland. She attended Midland College after graduating from Midland Christian High School and she is a certified phlebotomist. She has always loved animals and has 3 dogs: Thea, Oliver, and Annabelle. Spenser is very active in her church Trinity Baptist of Big Spring. Lisa Janssen is our registered veterinary technician. She graduated from Big Spring High School and then attended the Midland College Technician Program, graduating in 2004. She completed her clinical internship here at Highland Animal Hospital, then became a part of our clinic staff. Her family includes her husband Troy, daughter Mallory, son Brady, along with her pets, 2 dogs: Tae’A and Bruce, her cat Tootles, a rat Madiline, and a bearded dragon Elvis. She is learning with every new day and experience and is here to help with your animals needs. Angie was born and raised in Big Spring and graduated from Forsan High School in 1995. She received a certificate in Surgical Technology in 2002. She worked for us from 1994-2002 then went to work in Orthopedics from 2003-2013. We are thankful she has now found her way back home to Highland Animal Hospital. Angie has been married to Chad for fourteen years and they have three amazing children; Trevor, Hannah, and K’Leigh. They have two fur babies- Peanut and Audi. Jennifer was born and raised in Leaner Texas, Jennifer graduated from Leander High School in 2010. She attended Texas State University and studied Wildlife Biology. Jennifer started working as a veterinary assistant and has loved it! She has one Catahoula furbaby named Luna. I graduated from Coahoma High School in 2014 and after attended Howard Collage where I graduated with my Associates degree in General Science. I then transferred to Tarleton State to finish out my degree in Pre-Veterinary Medicine but I moved back to Big Spring deciding that was not want I wanted to do. I have always wanted to work with animals but I couldn’t decide in what way until I moved back to Big Spring and decided I wanted to work as a Veterinarian Assistant. My family includes my husband Corey, our 3 dogs: Titus, Willow and June and our 3 cats: Pumpkin, Rukia, and Freya. After being adopted at birth, Hannah was brought to Big spring from Austin, Texas. She went to Sands CISD until her sophomore year and then started homeschool. She graduated in September 2018. She has a total of 5 siblings and a Border collie named Hagen. I was born and raised in Big Spring, Tx. I have always loved animals and have for as long as I can remember, knew I wanted to work with animals as a profession. I love training to be a vet assistant at Highland and I am always ready to learn more. I have two fur babies, my boxer is named Missie and my cat is named Chip. Melissa was born in Lamesa Texas and graduated from Lamesa High School and attended Howard College. Melissa joined our team in 2017 and has a passion for caring for animals. Melissa is married to Bryan and has three sons; Brandon, Zachory & Ryan. She has three cats; Mama Burls, Batcat & Robin, and two dogs; Husky and Rusty. Alenna was born in Big Spring and has lived here her whole life. She attends Big Spring High School and will graduate in May. She has one fur baby name Aries and plans to go to college to be a Veterinarian. Alenna really enjoys working with all different animals.